WWE went on a spring cleaning spree this week and 6/5 became Black Friday for eight contracted performers. Wade Barrett, Damien Sandow, Hornswoggle, El Torito, Zeb Colter, Alex Riley, Santino Marella & Cameron were released from the company within the space of a couple of hours. Hornswoggle, Riley, Colter & Cameron were the first group of names that were axed on Friday afternoon. Hornswoggle had not been used on TV since he hilariously failed a Wellness test in September 2015. Riley had been used sporadically on NXT as an unintentionally comedic jobber in recent weeks, however he felt like a holdover from a previous era and always seemed like he was fighting an uphill battle to keep his spot. Colter’s last TV appearance was last year during the doomed pairing with Alberto Del Rio and Cameron, much like Riley, was surpassed by a much more talented new generation of performers. Barrett released a statement on Twitter and noted he had been let out of contract early and would be taking a break from wrestling for a while. Torito, Santino & Sandow’s names were revealed not long afterwards as the cuts continued. Torito vanished after Los Matadores were taken off TV and with Primo & Epico being repacked, Torito must have known he was on the chopping block. Santino underwent neck surgery in September 2014 and was pretty much retired from active competition; the fact that he managed to keep getting paid for that long while doing absolutely nothing is quite impressive. Sandow had been treated like a dog after he got himself over as the Miz’s stunt double last year and made a handful of TV appearances in the meantime where he always got a good reaction from the crowd. It is likely a case of “Creative has nothing for you,” but aside from Barrett – whose departure had been expected for some time – Sandow had the biggest upside of all the talent that was cut and could have easily slotted back into a regular featured role. Hulk Hogan is ready for round two with Gawker and has filed a second lawsuit against the much maligned sleaze-peddling website. 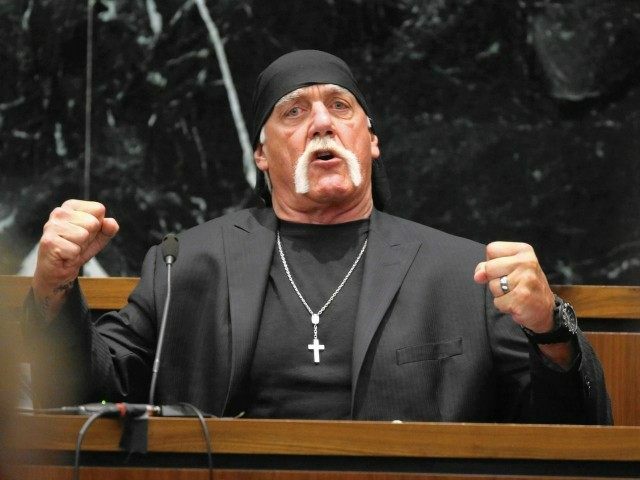 Hogan and his legal team are accusing Gawker of leaking a sealed document containing the tape where Hogan made his racist comments to the National Enquirer, who subsequently published the transcript of the tape. WWE responded to the story the only way they know how and removed all traces of Hogan from their website, including the Hall of Fame alumni, and immediately ended their working relationship with Hogan. Also indicted in the case are Michael Calta (AKA “Cowhead”) and Matthew Christopher Loyd (AKA “Spice Boy”), two Flordia radio employees who were allegedly responsible for the initial theft of the DVDs from Bubba the Love Sponge’s home. Hogan’s legal team believe that Loyd stole the tapes and consulted with Calta about what to do with them. Calta is then believed to have contacted AJ Daulerio from Gawker and got the ball rolling on an extortion scheme and ultimately the publication of the DVDs. As always, Bix has got you covered with all the details of the biggest rematch since Hogan/Warrior at Halloween Havoc 98 in the Figure Four Weekly newsletter. Ryback’s status with WWE is up in the air after he left the RAW show on 2/5 in St. Louis, MO and flew home to Las Vegas. During WWE’s tour of Dubai three weeks ago, Ryback did an interview and said he was not happy about his role in the last three WrestleManias and noted he might “go find another world to work in.” He was once again on the pre-show on 1/5 at Payback and lost to Kalisto. Ryback clearly sent a message to the people in charge when he performed CM Punk’s entrance and wore a weight belt that read, “The Pre-Show Stopper.” At the RAW in St. Louis on Monday he reportedly had a meeting with Vince McMahon about his status, which resulted in Ryback being told to go home until they could “agree or not agree to specific terms.” On 3/5, Ryback posted a long statement on Tumbler of all things and vented his frustrations. He noted, “contrary to reports it isn’t over money,” then proceeded to write a lengthy criticism about the discrepancy of pay between the “winners” and “losers.” Ryback’s main gripe seems to be that the top guys, who naturally win more matches, get paid more and also sell more merchandise than guys lower on the card. He noted that losing all the time has a direct effect on merchandise sales and felt that the talent should be compensated more by the company when this occurs. In the past, employees who have spoken out against the company usually don’t last very long. 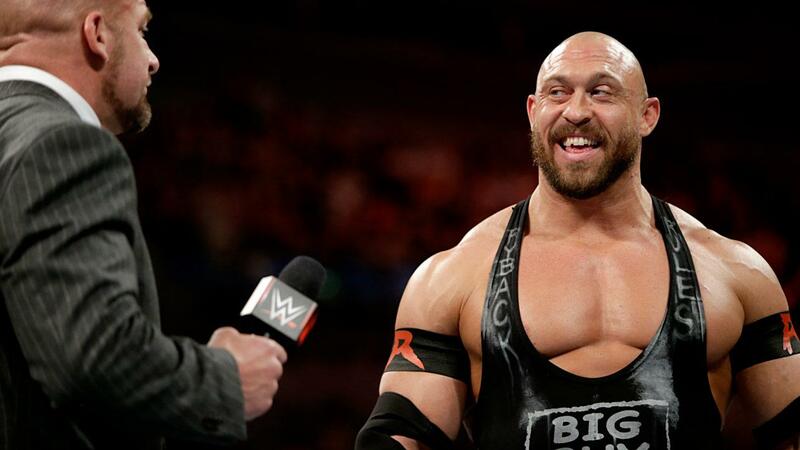 Ryback himself even noted that WWE might release him, but said he had been “very smart” with his finances over the years and seemed to have a blasé attitude towards being let go. “If it is the case so be it,” he stated. Pro Wrestling Sheet followed up on the story with a report citing a battle over trademark rights to, “The Big Guy” name. Ryback reportedly filed a trademark on “The Big Guy” in October last year, however the WWE filed the same trademark three months later. Ryback’s filling was published by the USPTO for opposition on 3/5, which gives any potential party 30 days to contest the filing. Adam Rose finally delivered on his promise to produce a doctors note for the failed Wellness test that got him suspended for 60 days on 16/4. Rose responded to his suspension with a lengthy Twitter statement on 20/4 and claimed his doctor was “shocked and appalled by this suspension.” Two weeks later on 3/5 Rose posted a note from Dr Charles DeVine, dated 22/4, which explained that Rose had been taking Aderall XR for “chronic signs of ADHD, determined through a very thorough psychiatric exam on 4/30/15.” I’m extremely empathetic to anyone dealing with mental health issues, however it surely would have been much more prudent for Rose to handle this situation privately instead of posting everything on Twitter for the whole world to see. Apparently Rose realised this, or someone in the company told him he had messed up big time, because he subsequently removed the doctor’s note on 5/5. In a bizarre turn of events Rose reposted the doctor’s note on 6/5 during the WWE’s spring cleaning, which caused some people to speculated that he was trying to get himself fired, however as of writing this he is still employed. There was a scary scene at the NXT house show in Citrus Springs, FL on 6/5, as Kenneth Crawford was placed in a neck brace and carried out of the arena on a stretcher. Crawford, who was working the opener against Noah Kekoa, slipped while performing a springboard move and landed awkwardly in the ring. Kekoa quickly rolled him up to end the match and the referee threw up the dreaded, “X”. EMTs attended to Crawford in the ring then took him out on a stretcher. Reports from the building suggest that he was able to communicate with the doctors although there is come conflicting information about whether he could move his extremities. F4Wonline noted that Crawford was unable to move his arms or legs and a fan in attendance claimed that he was informed by the EMTs that Crawford had been flown out to be treated at a nearby hospital. Cagesideseats on the other hand reported that Crawford was in fact able to move his extremities before being carried out of the ring. * Pre-Show Match: Kelly Klein vs. Crazy Mary Dobson. * The Addiction vs. Jushin Liger & Cheeseburger. * Bullet Club (Matt Jackson, Nick Jackson, Tama Tonga & Tanga Roa) vs. Motor City Machine Guns, Kushida & Matt Sydal. * Hiroshi Tanahashi & Michael Elgin vs. Kazuchika Okada & Moose. * Four Corners Survival, World TV Title #1 Contender’s Match: ACH vs. Roderick Strong vs. Dalton Castle vs. Adam Page. * ROH Tag Team Title: War Machine (C) vs. The Briscoes. * ROH TV Title: Tomohiro Ishii (C) vs. Bobby Fish. * Non-Title Match: IWGP Champion Tetsuya Naito vs. Kyle O’Reilly. * ROH Title: Jay Lethal (C) vs. Colt Cabana. * Matt Sydal & ACH vs. Silias Young & Beer City Bruiser. * Hiroshi Tanahashi & Michael Elgin vs. ANX. * Jushin Liger vs. Roderick Strong. * Non-Title Match: IWGP Jr Heavyweight Champion Kushida vs. Dalton Castle. * Non-Title Match: ROH TV Champion Tomohiro Ishii vs. Moose. * Non-Title Match: ROH Tag Team Champions War Machine vs. Kazuchika Okada & Gedo. * Jay Lethal (ROH World Champion) & Tetsuya Naito (IWGP Heavyweight Champion) vs. reDRagon. * Motor City Machine Guns vs. The Briscoes. * Okada vs. Matt Sydal. * Non-Title: Jay Lethal (ROH World Champion) vs. Donovan Dijak. * The Young Bucks & Kenny Omega vs. Hiroshi Tanahashi, Michael Elgin & Yoshitatsu. * Non-Title: Kushida (IWGP Jr Heavyweight Champion) vs. Kyle O’Reilly. * Non-Title: Tomohiro Ishii (ROH TV Champion) vs. Will Ferrara. * Non-Title: Tetsuya Naito (IWGP Heavyweight Champion) vs. Moose. The New York show at Terminal 5 has one of the strongest cards of the entire tour and a hell of a main event that see’s Okada, Ishii & Tanahashi teaming up in a ROH vs. NJPW All-stars match. * Matt Sydal vs. Gedo. * Non-Title: ANX vs. Guerrillas of Destiny (IWGP Tag Team Champions). * Cedric Alexander vs. Donovan Dijak. * Non-Title: Kushida (IWGP JR Heavyweight Champion) vs. Silas Young. * Lio Rush vs. Moose vs. Dalton Castle vs. Michael Elgin. * Motor City Machine Guns vs. Roppongi Vice. * Jushin “Thunder” Liger vs. Mark Briscoe. * ROH World Tag Team Title: War Machine (C) vs. reDRagon vs. The Addiction. * Non-Title Match: Tetsuya Naito (IWGP Heavyweight Champion) vs. ACH. * Chris Hero vs. Zack Sabre Jr.
* Evolve Tag Team Titles: Drew Gulak & Tracy Williams (C) vs. TJ Perkins & Fred Yehi. * Drew Galloway vs. Ethan Page. * Johnny Gargano vs. Marty Scurll. * Lio Rush vs. Caleb Konley. * Matt Riddle vs. Anthony Nese. * The Bravado Brothers vs. The Devastation Corporation. * Grudge Match: Drew Galloway vs. Johnny Gargano. * WWE Global Cruiserweight Series Qualifier: Drew Gulak vs. Tracy Williams. * WWE Global Cruiserweight Series Qualifier: TJP vs. Fred Yehi. * Zack Sabre Jr. vs. Marty Scurll. * Matt Riddle vs. Lio Rush. * Ethan Page vs. Chris Dickinson. * The Bravado Brothers in action. New Japan’s annual May show, Wrestling Dontaku, took place on 3/5 in Fukuoka at the International Centre Arena and the show was a stacked ten-match card that went four and a half hours. The show was very good, however a lot of the matches, especially after intermission, felt rushed. In addition to being on NJPW World, Dontaku was also broadcast on TV Asahi so it is possible they were trying to make sure they got everything in the allotted TV window, however according to @e-key-oide, the TV Asahi broadcast cut off before the end of the main event. 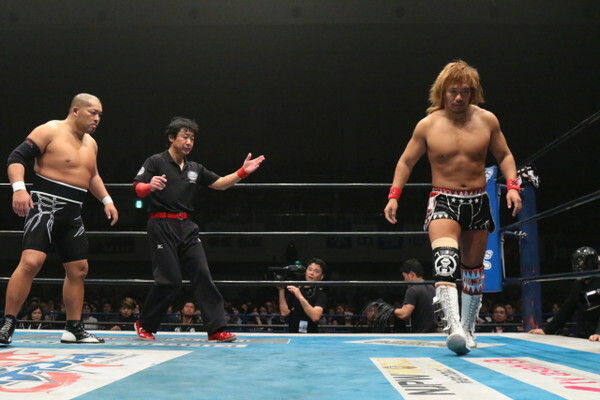 (10) Tetsuya Naito retained the IWGP Heavyweight title over Tomohiro Ishii in 30:33 with the Destino, (**** ¼). Match was fantastic and the best on the show by a mile. Ishii worked over Naito’s surgically repaired knee. There were two ref bumps; Evil & Bushi interfered but Okada & Gedo fought them off. They did a bunch of great near-falls; Ishii hit a sick inverted Brainbuster that the fans bought big time. Naito countered another Brainbuster and hit the Destino for the win. Afterwards, Okada got in Naito’s face and Naito told him, “Tranquilo.” Naito also thanked Kidani again for watching on NJPW World and said next time he wants Kidani to be there live to hear the reaction of the crowd. The biggest news on the show was the announcement of Kenny Omega defending the IC title against Hiroshi Tanahashi in the first ever ladder match in New Japan. (4) Omega & The Young Bucks regained the hot potato NEVER Trios titles when they beat Tanahashi, Michael Elgin & Yoshitatsu in 14:03. Match was full of ridiculous ref bumps and weapon spots to the point of absurdity. Post-match, Tana challenged Omega for the IC title, but Omega said he would only face him in a ladder match. The two both climbed a ladder and met at the top, where Tanahashi accepted the ladder stip. Omega told Tanahashi, “Welcome to American style.” (9) Semi-main saw Kazuchika Okada over Sanada in 15:11 with the Rainmaker, (*** ½). Sanada looked good, but the crowd didn’t really buy into the idea that he could beat Okada. (8) Evil pinned Hirooki Goto in 9:53 of a match that was mostly a wild brawl. Evil won with the Darkness Powerbomb and his STO, (***) It felt very rushed for a match third from the top. (7) Kushida retained the IWGP Jr Heavyweight title over Jushin “Thunder” Liger in a very good match at 14:37, (*** ¾). Liger went after the knee and slammed it into the barricade and the ring post; he also hit a Brainbuster on the floor for a count-out tease, of which there were numerous on this show. Liger attacked the leg with a bunch of submissions and got a near-fall with his old Thesz Press finish. Kushida won with the Hoverboard Lock and afterwards he told Liger that he had “stopped the clock on his final chapter” and said he wanted Liger to continue wrestling for the next five, ten, fifteen or twenty years. Liger said if the strongest junior and the champion thinks he still can go then he would have to ask for another shot at the title. (6) Yuji Nagata downed Katsuyori Shibata to become the new NEVER Openweight champion in 11:53, (*** ¼). Match was good, although selfishly I wanted another ten minutes or-so; there was also a questionable long Figure Four spot from Shibata and Nagata was up no-selling and throwing kicks immediately. Shimpei Nogami lost his mind when Nagata won the title and was screaming his guts out while tears streamed down his face – best in the business by a mile, and I don’t even speak Japanese. (5) Guerillas of Destiny retained the IWGP Tag titles over Togi Makabe & Tomoaki Honma in 12:12, (**). There was one cool spot that saw Tonga & Honma execute a million transitions. Tonga pinned Honma after the Guerilla Warfare double DDT. (3) Ricochet & Matt Sydal beat Roppongi Vince for the IWGP Jr Heavyweight Tag belts in 16:26 of a very good match, (*** ½). I guess that means Ricochet is not signing with WWE any time soon. (2) Kazushi Sakuraba, Yoshi-Hashi, Will Ospreay & Gedo beat Tiger Mask, Ryusuke Taguchi, David Finlay & Jay White in 7:23, (** ½); Ospreay did the Space Flying Tiger drop onto a pile on the floor, although he didn’t do too much else as they had very little time. (1) Bad Luck Fale & Yujiro Takahashi beat Captain New Japan & Juice Robinson in 2:26, (DUD). The Blocks for the Best of the Super Juniors tournament were also announced on the Dontaku show. A Block: Kushida, Ryusuke Taguchi, Kyle O’Reilly, Matt Sydal, Rocky Romero, Gedo,Bushi & Matt Jackson. B Block: Jushin Thunder Liger, Tiger Mask, Bobby Fish, Barreta, Nick Jackson, Ricochet, Volador Jr. & Will Ospreay. The tour starts on 21/5 at Korakuen Hall and will run 14 shows with the final in Sendai on 7/6. Interestingly there is no Dragon Lee in the tournament, although he is currently out with a knee injury so it is possible that Volador was offered as a replacement. Another possibility is that with Kamaitachi gone from CMLL, and not scheduled to return to Japan for some time, New Japan may not want to bring Dragon Lee in without his famous feuding partner. Naomichi Marufuji & Toru Yano won the 2016 NOAH Global Tag League on 4/5 when they defeated the GHC Tag Team Champions Lance Archer & Davey Boy Smith Jr in the tournament final at Korakuen Hall. KES topped the block with 10 points (5 wins, 2 losses) and Marufuji & Yano came in second with 8 points (4 wins, 3 losses). The final was the main event of the 4/5 show and Marufuji pinned Smith with the Shiranui at 20:25. Also on the show, Yoshinobu Kanemaru retained the GHC Jr Heavyweight title over Hajime Ohara in 18:01 with the Touch Out; there was the usual Suzuki-Gun interference. Team NOAH (Go Shiozaki, Maybach Taniguchi, Katsuhiko Nakajima & Masa Kitamiya) beat Suzuki-Gun (Takashi Sugiura, Minoru Suzuki, Takashi Iizuka & Shelton “X” Benjamin) in 20:13 when Shiozaki pinned Iizuka with the Go-Arm Lariat. Afterwards, Sugiura attacked Shiozaki with a chair and stood over him to set up their GHC Heavyweight title match in Osaka on 28/5. Hiroyoshi Tenzan & Satoshi Kojima ended their tour with a win over Muhammad Yone & Akitoshi Saito in 9:56 when Kojima pinned Saito after a Lariat. Wrestle-1 ran a noon show a Korakuen Hall on 4/5 and the main event saw KAI capture the Wrestle-1 Championship over Yuji Hino in 20:00 with the Gannosuke Clutch. Semi-final was a trios match with Keiji Mutoh, Leona & Daichi Hashimoto over Yuji Okabayashi, Yasufumi Nakanoue & Seiki Yoshioka in 12:20 when Mutoh submitted Yoshioka with the Figure Four. Afterwards, Jun Akiyama made a surprise appearance and challenged Mutoh to a match, which Mutoh accepted for 11/8 in Yokohama. This is especially notable due to Mutoh splitting off from All Japan to (re)form Wrestle-1 in 2013. Chigusa Nagayo’s new Joshi group Marvelous ran their debut show on 3/5 at Toyosou PIT in Tokyo. Chigusa thanked the fans for coming and said she aims to see the promotion flourish in the future. Main event saw Meiko Satomura beat Takumi Iroha with the Death Valley Bomb in 15:29. There is some confusion surrounding the AAA World Cup show on 5/6 in Mexico City, which was originally announced as a PPV in the US & Canada. They have now added another show on 3/6 in Puebla which will definitely not be on PPV, although World Cup qualifying matches are set to take place. Court Bauer said on this week’s Bauer & Pollock podcast that he is no longer working for AAA or Lucha Underground and questioned whether the PPV on 5/6 would even take place at all. The Observer this week noted that AAA wanted both shows (3/6 & 5/6) to be PPVs, but they realised that wouldn’t have been viable. Meltzer also reported that after the disaster that was last year’s TripleMania, AAA will be handling the production themselves this time around. MLW on Twitter disputed this claim and noted that AAA was asked by the PPV vendors to bring in an outside production team. Mephisto defeated Mascara Dorada two falls to one for the World Welterweight title in the main event of the CMLL show at Arena Mexico on 3/5. Mephisto took the first fall in 2:22 with the Devil’s Wings. Dorada took the second with a Super Frankensteiner in 4:26 and Mephisto hit a Super Devil’s Wings to win the third fall in 16:23. The whole show is up on YouTube and the main event starts around 1:53:16. Angelico’s injury that he suffered at the Lucha Underground tapings two weeks ago was a fractured-disclocation of the left elbow and he is scheduled to be out fr at least two months. Bobby Heenan was hospitalised on 4/5 after a fall at his home. Pro Wrestling Sheet reported that doctors wanted to keep Heenan in for 72 hours due to low blood pressure, but noted that, “the 71 year-old was in great spirits.” Heenan had to cancel an appearance at the Super Friends Fan Fest in Milwaukee, WI this weekend as a resulted of the fall. WWE’s UK Twitter account announced on 6/5 that Bobby Roode would be a part of NXT’s upcoming tour of the UK in June. The tweet was then mysteriously deleted. PWInsider is reporting that Roode has signed a developmental deal and that he was backstage at the last set of TV tapings but did not feature on any of the shows. Shane McMahon will be the guest in a “tell-all” podcast with Mick Foley on the WWE Network following the May 23rd RAW. Steve Austin noted on his podcast this week that the reason Foley is hosting the show is because he is rehabbing his shoulder after surgery on his rotator cuff, his labrum and AC joint. Austin suffered the injuries at WrestleMania during the segment when he, Shawn Michaels & Mick Foley beat up the League of Nations and will be in a sling four the next four weeks. * PWG World Championship Zack Sabre Jr. (C) vs. Michael Elgin. * Andrew Everett vs. Trevor Lee. * Adam Cole vs. Dalton Castle. * Drew Galloway vs. Brian Cage. * Jeff Cobb (debut) vs. Chris Hero. * Mark Andrews vs. Marty Scurll. * Sami Callihan vs. Roderick Strong. RAW on 2/5 did a 2.35 ratings with 3,430,000 viewers. 8 pm did 3,458,000 viewers. 9 pm did 3,457,000 and 10pm did 3,383,000. After a steady drop over since WrestleMania, the show the day after Payback, with return of Stephanie McMahon, was up 10% from last week’s 3.12 million. TNA iMPACT on 3/5 did 303,000 viewers; down from 332,000 last week. Lucha Underground on 4/5 did 180,000 viewers; 138,000 for the first run episode and 42,000 for the replay. That’s up from 159,000 last week, although the median viewer age was a remarkable 57.3 years-old. SmackDown on 5/5 did 2,350,000 viewers, an increase of 240,000 from last week.